Kurt Ernst December 30, 2011 Comment Now! 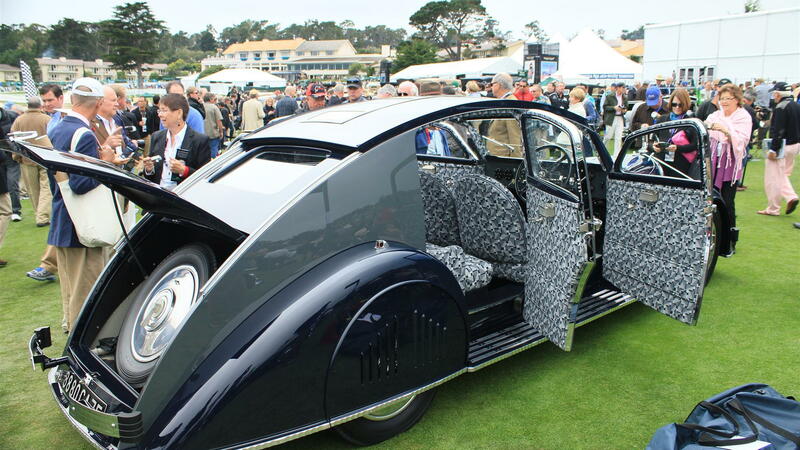 When it comes to automobiles, the French have always gone their own way in terms of style and convention. 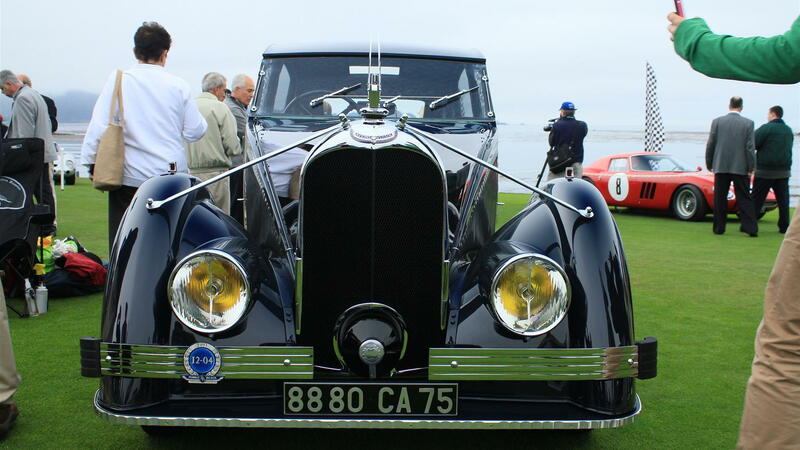 Nowhere is that more evident than on the 2011 Pebble Beach Concours d’Elegance winning 1934 Voisin C-25 Aerodyne, which is one part car, one part airplane and one part rolling sculpture. 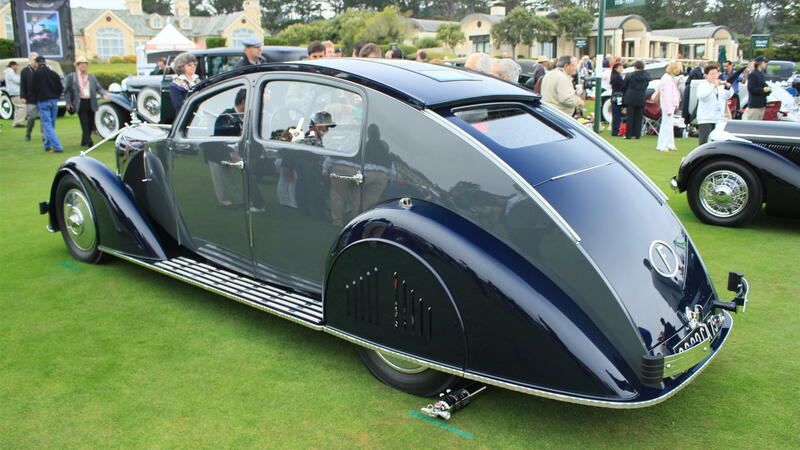 Built by Avions Voisin, the automobile brand founded by aeronautical engineer Gabriel Voisin, the C-25 Aerodyne was heavily influenced by the Art Deco and streamlining movements. Even standing still, the car conveys a sense of motion, and the subtle artistic details are impressive. 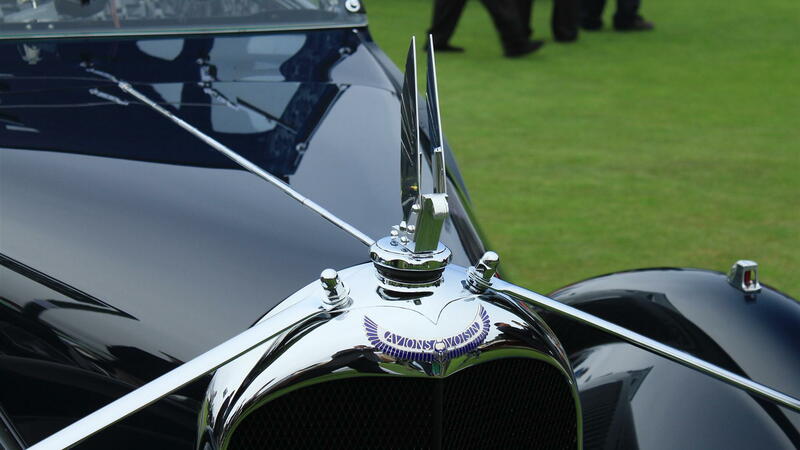 The running boards, for example, are scalloped, and the door-mounted ashtrays are made of Lalique glass (so replacing one would likely cost as much as a serviceable Honda Civic). The interior fabric, while a bit busy for our tastes, still manages to convey a certain sense of “because French” style. Even the drivetrain differed from conventional wisdom, using a sleeve valve engine renown for quiet, if smokey, operation. Since the valve sleeves burned oil as part of their normal operation, the saying went that if your Voisin didn’t smoke, there was something wrong with it. 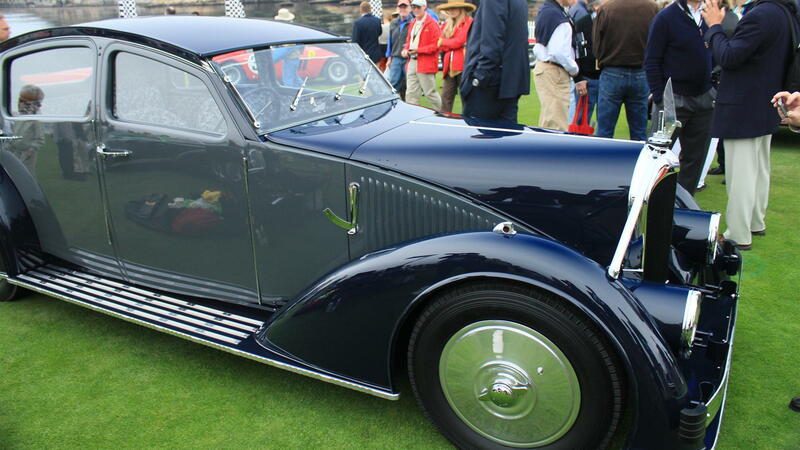 In many ways, the C25 Aerodyne was Voisin’s last gasp at greatness, and the car was priced at a jaw-dropping 88,000 francs in 1934. A Bugatti 57 Galibier could be had for 70,000 francs, with a Citroen sedan costing just 22,000 francs. The price explains why only seven C-25 Aerodyne Coupes were built, and only four are known to exist today. If you want to see one of the last remaining examples in the flesh, schedule a pilgrimage to the Mullin Automotive Museum in Oxnard, California. In the mean time, enjoy this French-flavored visit to Jay Leno's Garage.